A trio of doctors in a small western Manitoba town have called a public meeting, saying the province's plan to close dozens of ambulance garages in the next decade doesn't add up. Dr. Jim Rae, one of three doctors in Grandview, Man., a town about 290 kilometres northwest of Winnipeg near Dauphin, said the planned closure of the ambulance station in his hometown has left people there with many questions. 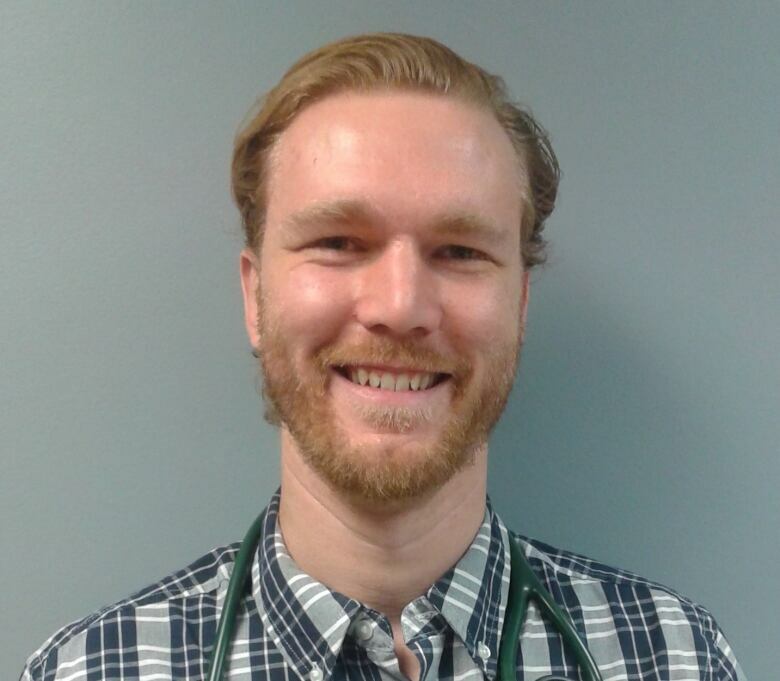 He and two other doctors distributed flyers to residents calling a meeting on Tuesday. "The worry is that people will not get the timely care that they need," he said in a phone interview with CBC News on Thursday. Under the province's plan, the station in Grandview will be one of about two dozen in Manitoba to close. The Paramedics Association of Manitoba has said the current model is not sustainable and changes need to be made in order to better serve rural areas. A 2013 report commissioned by the Manitoba government recommended the closures and the construction of five new EMS stations. The province said the changes will result in a more co-ordinated and responsive system. Grandview currently has a staffed EMS garage for 12 hours per day, and an up-to-date facility that could easily house a full-time operation, according to Rae. Along with in-town calls, the paramedics attend calls in the rural area near Grandview as well as at the Tootinaowaziibeeng First Nation. Under the new plan, the Gilbert Plains EMS garage will attend calls in the entire region, as well as north to Ethelbert, Man., a total population of about 4,000 people. Dr. Jim Rae is one of three doctors in Grandview, Man., who have organized a public meeting to discuss changes to the province's EMS system. (Submitted)Rae said about a third of Grandview's citizens are seniors who are prone to acute health issues such as heart attacks and strokes or sudden kidney failure, issues that require fast care. "The worry is that by moving the station to a different town, people will not be seen in a timely manner," Rae said. Rae said he and his colleagues called the public meeting to try to answer some of the questions they've received from patients, and to formulate a response on behalf of the community that they will submit to the provincial government. He said there are fears that the EMS garage leaving town could be the first step in closing the town's hospital altogether. "There are places where [ERs] are open one week, closed the next. That's simply not the case in Grandview," he said. "Our emergency department hasn't closed in some five years and that was for a weekend that people got snowed in." "It feels like we're kind of the baby being thrown out with the bathwater of a dysfunctional rural medical system," Rae said. Grandview's mayor, Lyle Morran, agrees. "To us it doesn't make any sense when you have an active hospital with doctors and a full complement of nurses ... to be closing it," he said. 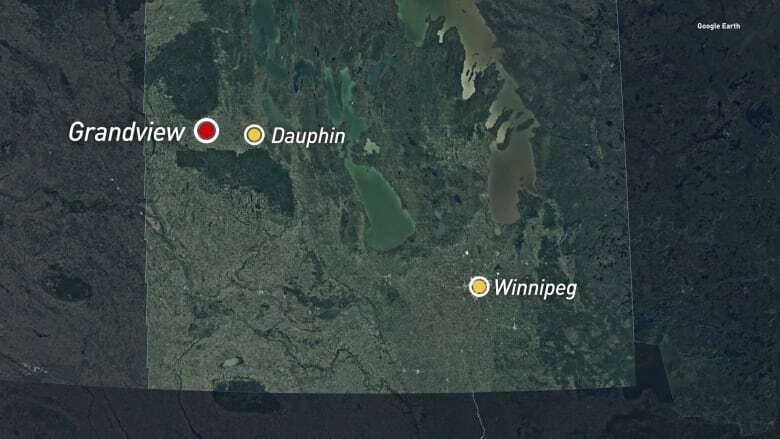 "We're halfway between Dauphin and Roblin, which are the two major centres." Grandview, Man., is located about 290 kilometres northwest of Winnipeg, west of the city of Dauphin. (CBC Graphics)Morran said people in town fear response times will go up under the new plan and want answers. Rae said that while the province's plan to staff EMS stations 24/7 is good, he questions some of the data backing up the change, which was compiled prior to the 2013 report. "There's a couple of glaring inconsistencies," Rae said. The most glaring, he said, is that the EMS garage in Ethelbert is slated for closure, despite the fact it's been closed for nine years. "It makes me question whether they actually do have a good sense of what's going on on the ground and whether the solutions they are proposing make sense for people that live here," Rae said. The province said the changes will result in a more co-ordinated and responsive system, and are intended to take place over 10 years and only when new, full-time paramedics have been hired.